Scientists at Cold Spring Harbor Laboratory (CSHL) have harnessed the still untapped power of genome editing to improve agricultural crops. Using tomato as an example, they have mobilized CRISPR/Cas9 technology to rapidly generate variants of the plant that display a broad continuum of three separate, agriculturally important traits: fruit size, branching architecture and overall plant shape. All are major components in determining how much a plant will yield. The method is designed to work in all food, feed, and fuel crops, including the staples rice, maize, sorghum and wheat. The team's experiments, published today in Cell, involve using CRISPR "scissors" to make multiple cuts within three tomato genome sequences known as a promoters -- areas of DNA near associated genes which help regulate when, where, and at what level these "yield" genes are active during growth. In this way generating multiple sets of mutations within each of these regulatory regions, the scientists were able to induce a wide range of changes in each of the three targeted traits. 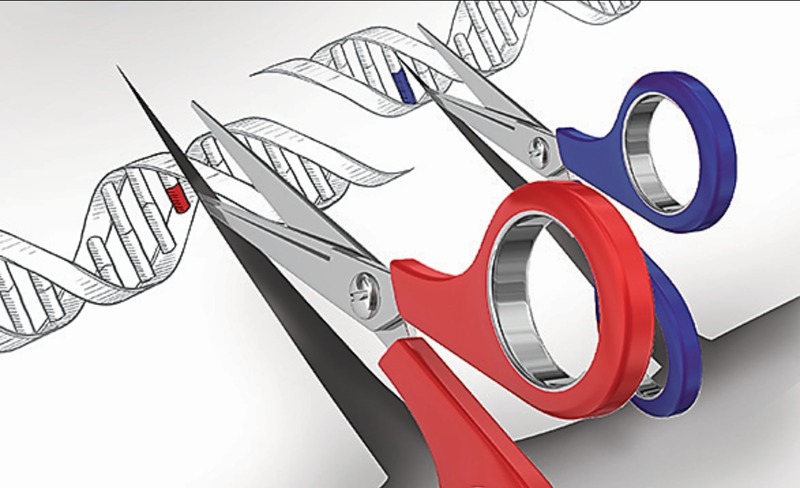 By using CRISPR to mutate regulatory sequences -- the promoters of relevant "yield" genes rather than the genes themselves -- the CSHL team finds that they can achieve a much subtler impact on quantitative traits. Fine-tuning gene expression rather than deleting or inactivating the proteins they encode is most likely to benefit commercial agriculture because of the flexibility such genetic variation provides for improving yield traits. Each of the mutated areas creates what are known as quantitative trait loci (QTL). In any given plant, QTL have arisen naturally over thousands of years, the result of spontaneous mutations that caused subtle changes in yield traits. Searching for and exploiting QTL from nature has been an objective of plant breeders for centuries, but the most valuable QTL -- those that cause subtle changes in traits -- are rare. Lippman and his team have now shown that CRISPR-generated QTL can be combined with existing QTL to create "toolkits" of genetic variation that exceed what is found in nature.